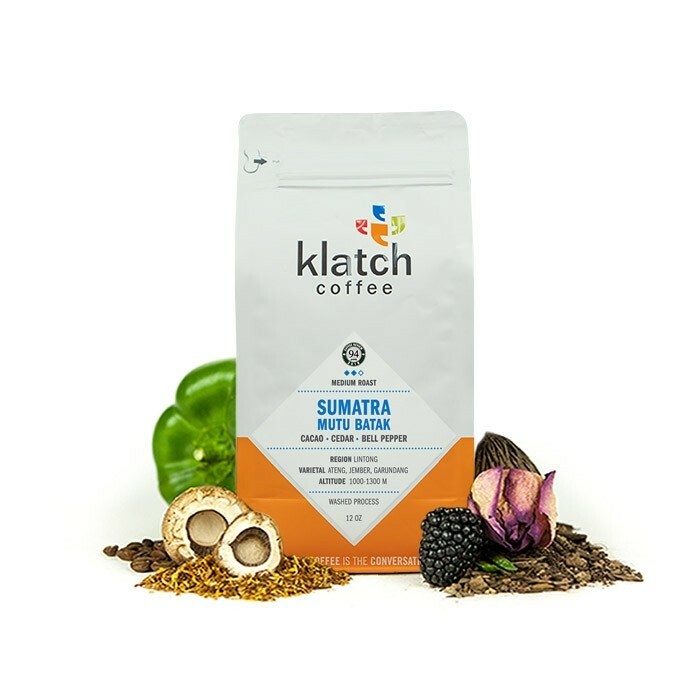 The Sumatra Mutu Batak was carefully roasted for you by Klatch Coffee. This semi washed coffee was sourced from the growing region of Lintong, Lake Toba in Sumatra and was grown between 1,0000 - 1,300 meters. This coffee has all of the earthiness you'd expect from an Indonesian coffee with notes of sandalwood and tobacco and an herbal finish. This coffee didn't really do it for me, in its defense the flavor notes were exactly as described on the package: Bell Peppers, Cedar, and maybe a light Cacao. I just really wasn't into the flavor. I wouldn't agree with the description provided, I didn't get any tobacco or an herbal finish, but the packaging itself seemed more accurate. Really excellent. barely sour, almost sweet, and a very pleasant aroma. My favorite by far. Not what I expected. Full, rich and smooth but not at all bitter. Awesomely chocolaty richly intoxicating. Makes a fabulous iced coffee ! !